HARARE, ZIMBABWE (DAILY NATION) -- The change of guard in Zimbabwe may have been the unwanted thing in the life of Robert Mugabe. But another former African strongman may be facing an uncertain future as a result. For years, Robert Mugabe gave asylum and then protected Mengistu Haile Mariam, the Ethiopian dictator who still carries a death sentence on his back. 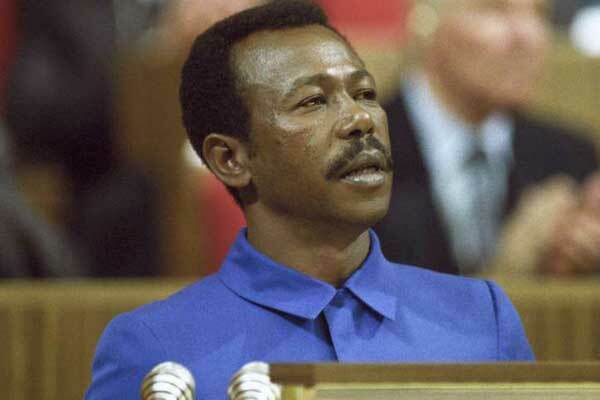 Government officials in Mugabe’s administration had variously argued that Zimbabwe owed a lot to Mengistu, especially after he reportedly helped Africans during the Bush wars that delivered independence to that country in 1980. But last Friday, Emerson Mnangagwa took over as Zimbabwe’s new President, bringing with him the uncertainty over whether the Ethiopian dictator will be protected as he had been under Mugabe. Mengistu, sometimes known as the Butcher of Addis Ababa, had fled to Zimbabwe in 1991 after rebel forces toppled his 17-year autocracy that started with the assassination of Emperor Haile Selassie in 1974. Throughout his rule, Mengistu ran the country with a feared iron grip, assassinating members of his own junta perceived to oppose his rule. When from 1983 Ethiopia faced a serious famine which saw global celebrities come together to raise money to help the starving people, Mengistu sought for food aid and technical aid from western powers. At the same time, he retained military and diplomatic ties with the former Soviet Union. But things did not change much in Ethiopia. The chronic famine in the north continued, the same with the war in Eritrea. Ethiopia’s economy failed to grow, forcing Mengistu to use the military and his close political associates to maintain his grip on power. But Ethiopians were unhappy with the situation in the country leading to more unrest. As a result, the Ethiopian strongman had to use force in his quest to remain in power. But he could not do this for long and eventually he was defeated by rebel groups forcing him to resign in 1991 and flee into exile. But even in his absence, Ethiopian courts found him guilty of genocide. His administration was directly put on the spot over the killing 2,000 people and torturing of 2,400 others at the height of the country’s civil war. Initially, he was sentenced to life in prison, alongside key lieutenants in the junta known as Derg in 2007. But prosecutors appealed the sentence. He was handed a death sentence in 2008, still in absentia. Despite the verdict and calls by then Ethiopian Premier Meles Zenawi to have him extradited, Zimbabwe under Mugabe often offered to protect him. In the wake of the sentence, for instance, Mugabe’s officials claimed Mengistu would remain “our guest”. In Zimbabwe’s new leader, some have seen him an extension of Mugabe, especially since he was a long-time ally and former spy for Mugabe until they fell out on succession. Zimbabwean opposition politicians had indicated they would accept to rendition Mengistu to face jail.